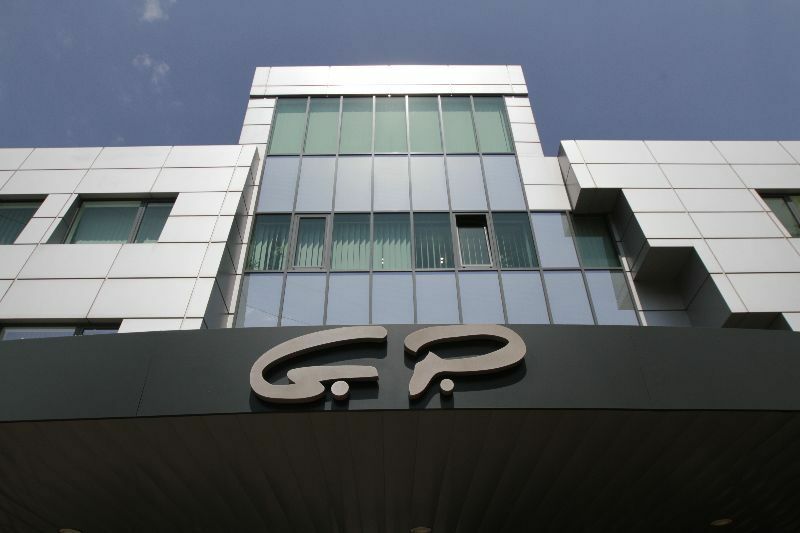 The offshore “PI” company owns the land and the building on 59A “Cherni Vrah” Boulevard in the Bulgarian capital Sofia, which houses the offices of “GP Group” and numerous consultancy firms. However, “PI” is closely connected with, both, “GP Group” and Lukoil Bulgaria, spinning together suspicious property deals that cast doubt of a drain of Lukoil, reveals an investigation by Bivol into public entries in the Trade and Property registers. “GP Group” is not the owner but one of the tenants in the building on 59A “Cherni Vrah” Boulevard, according to the company’s special press release. In it, it also denies evidence, published by Bivol, of consultants associated with it being involved in hefty corruption schemes with public procurement and theft of European Union (EU) funds. The company also denies removing and setting on fire documentation related to EU projects, though no such statement has ever been made. The documents are being removed from the building, which houses the connected consulting companies “Rila Consult”, “Europrogramconsult”, “M Consult Finance”, “EU-Energy Project” and “Lian Consult Services”, among others. In the process of investigating this destruction of documents, Dimitar Stoyanov from Bivol and Attila Biro from our partner site, Rise Moldova, were detained by the police near the western Bulgarian town of Radomir. They were handcuffed and released a few hours later after the Romanian Consul in Bulgaria intervened. This triggered an international scandal, indignation by human rights organizations, publications in prestigious global media, forcing Bulgarian mainstream media to pay attention to the corruption affair that had been previously ignored by them. Besides the “GP Group” press release, Bivol’s editorial office received a right of reply from Lukoil Bulgaria on the occasion of the mention of its manager and Director General Valentin Zlatev. It firmly denies any connection of, both, Lukoil and Zlatev, with “GP Group”. Although it was not clear why Valentin Zlatev did not personally write to us but used the press service of the company, we publish the text without any edits and changes under the heading “Right of Reply”. Public data, however, show that the owner of the building on 59A “Cherni Vrah” Boulevard and the land beneath it has had close business ties with, both, “GP Group” and Lukoil Bulgaria. Both offshore companies are represented by the Montenegrin citizen Vladislav Popovic, who has business in Bulgaria. His name can be also found in the Offshore Leaks database as a company director. The secret of the offshore ownership is carefully concealed in Cypriot law firms and in the modest homes of unemployed Cypriots. What is out in the open, however, points to serious business relations with “GP Group”. Popovic’s proxy in the purchase and sale of the land and the building is Velizar Lyubenov Radev, who is co-owner of “GP Stroy”, together with one of the shareholders and director of “GP Group” – Georgi Vassilev. The connection is not accidental as Radev is the manager of other companies in the “GP Group” and “GP Story”. Curiously (or naturally? ), Radev is also co-owner in the company “Bulgaria Building”, together with Boryana Shehtova, the wife of the alleged drug trafficker and underground boss Hristoforos “Taki” Amanatidis, as well as the manager of her company “Lyulin Property”. The manager of “PI”, Vladimir Kirilov Pilchev, on his part, has business relations with one of the owners of “GP Group”, Vladimir Georgiev Jitenski, in the company “Agrohold Invest”. “Agrohold” is also the company of Vasil Zlatev Kostov – the father of Lukoil’s boss Valentin Zlatev, but in the Trade Register there is no visible formal link between the two companies. The Property Register shows that in a short period of time in 2008, “PI” has purchased numerous properties throughout the country, which then it has immediately sold to Lukoil Bulgaria for the construction of gas stations at hugely inflated prices. All these deals had occurred after “PI” paid Lukoil BGN 5 million for the building on 59A “Cherni Vrah” Boulevard in March 2008. For example, a meadow near the town of Botevgrad, near Sofia, was acquired by “PI” on April 24, 2008 for BGN 110,000, and a month later, it was sold to Lukoil Bulgaria for BGN 838,000. In the village of Gorna Malina, also near Sofia, on December 5, 2008, the municipality sold to “PI” a meadow for BGN 180,000. On December 9, 2008, the same meadow was sold to Lukoil Bulgaria for BGN 1,448,534. Similar is the case in the town of Dryanovo, in central Bulgaria, where on July 18, 2008, the municipality sold to “PI” a property for BGN 90,000. Four days later, the same property was sold to Lukoil for BGN 1,186,473. This is also the most drastic difference in the price and probably a great damage to the municipal budget. The same scenario is repeated in the cities of Dobrich and Plovdiv and in the towns of Kyustendil, Levski, Provadiya, Teteven, Troyan and Velingrad. In fact, Lukoil’s gas stations in these cities and towns have enriched the “enterprising” “PI” and its offshore owners with tens of millions. In Kyustendil, Provadia and Teteven, the scheme is even more interesting, because there “PI” has acquired the properties from “Campanella” EOOD. At that time, the company has had as a sole owner one of the current owners of “GP Group” – Vladimir Jitenski. It is now transferred to an offshore. In Teteven, “Campanella” bought a meadow for BGN 329,308 on February 25, 2008. It sold it to “PI” for BGN 1,530,151 on February 29, 2008, and on March 10, 2008, the meadow was resold by “PI” to Lukoil Bulgaria for BGN 1,568,014. In Provadiya the “lucky winner” S.M. received from “Campanella” BGN 713,408 for a meadow of 18 decares on April 1, 2008. On April 9, 2008, the property was sold for BGN 1,703,705 to “PI” and on April 25, 2008 Lukoil gave “PI” slightly more – BGN 1,786,032. In Kyustendil “Campanella” acquired a 4-decare meadow from private individuals for BGN 72,032 on April 4, 2008. On April 10, it sold it to “PI” for the skyrocketing BGN 944,000, while on April 15, “PI” transferred the meadow to Lukoil for BGN 985,500. The real estate scheme actually looks like a drain of millions by Jitenski and by the offshore owners behind “PI” through pre-arranged property deals. The Managing Director of Lukoil Bulgaria, who sold the property on 59A “Cherni Vrah” Boulevard to “PI”, and later paid the same company for the land for gas stations at inflated prices, was then and still is Valentin Zlatev. Any sensibly managed company would check the prices of the land it buys, as well as the previous deals with the land it is interested in in order to achieve the best price. Such are at least the principles of the market economy. However, if the goal is not cost optimization, but a money drain from the company, or money laundering, the deals described above make sense. The inflated land prices from which Jitenski and “PI” have profiteered, have been paid by Bulgarian fuel consumers, who in 2008 had no other choice, but to buy only the Lukoil production. These deals do not match the statement in Lukoil Bulgaria’s right of reply, sent to our media, that says that “according to corporate rules, contractors and partners in major project are selected through bidding procedures and are usually among those offering the highest quality in their sector“. It is also interesting to find out whether Lukoil’s shareholders, including US companies, would have approved such a waste of resources by the Bulgarian branch of the company. Apart from real estate deals, “GP Group” is the company that builds Lukoil’s gas stations. At what rates is this happening and whether there are bills of quantities inflated many times, similarly to the land prices, cannot be established because these relationships are not subject to entry in public registers and are company secrets. The investigation into the affair with consultancy firms, “#GPGate”, clearly shows that “GP Group” and companies associated with it have built a number of buildings and sites with EU financing, with construction works being carried out with fewer materials. There is also evidence of parallel bills of quantities, with the differences in favor of the contractor reaching many hundreds percent.